Grave ( pronunciation (help·info), formerly De Graaf) is a municipality in the Dutch province North Brabant. The municipality had a population of 12,395 in 2017. Grave is a member of the Dutch Association of Fortified Cities. The municipality includes the following towns : Grave (capital), Velp, Escharen and Gassel. Velp is a village in the Dutch province of North Brabant. It is located in the municipality of Grave, about 2 km southwest of the city. Escharen is a village in the Dutch province of North Brabant. It is located in the municipality of Grave. Gassel is a village in the Dutch province of North Brabant. It is located in the municipality of Grave. The municipality Grave was formed in the Napoleonic era (1810) and coincided with the fortified Grave and immediate surroundings. The history of the town was thus linked to that of the place. This changed in 1942. Then there was a reclassification place where the municipality Grave was expanded with the previously independent municipalities Velp and Escharen. Moreover, in 1994 the neighboring municipality of Beers was abolished and a part thereof, the parish Gassel, was also added to the municipality Grave. Grave received city rights in 1233. Near to Grave lies a bridge, now called John S. Thompsonbrug, built in 1929. It is the northern connection to Gelderland, spanning the river Maas. The bridge was one of the key strategic points in Operation Market Garden; the city was liberated at 17 September 1944, but suffered very little damage. The bridge was named in 2004 after Lieutenant John S. Thompson who commanded the platoon of the 82nd Airborne Division that captured the bridge. The Hampoort is the old entrance to the city, and it is still largely intact and can be visited. 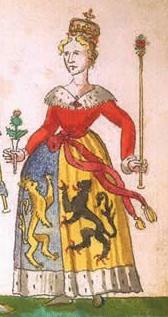 Mary of Guelders, born in Grave (c. 1434 – died 1 December 1463), the queen consort of Scotland as the wife of King James II of Scotland, served as regent of Scotland from 1460 to 1463. Anna van Egmont, born in Grave (March 1533 – died 24 March 1558), a wealthy Dutch heiress who became the first wife of William the Silent, Prince of Orange and Dutch Father of the Nation. James II was a member of the House of Stewart who reigned as King of Scotland from 1437 until his death. Anna van Egmont was a wealthy Dutch heiress who became the first wife of William the Silent, Prince of Orange. A fish ladder, also known as a fishway, fish pass or fish steps, is a structure on or around artificial and natural barriers to facilitate diadromous fishes' natural migration. Most fishways enable fish to pass around the barriers by swimming and leaping up a series of relatively low steps into the waters on the other side. The velocity of water falling over the steps has to be great enough to attract the fish to the ladder, but it cannot be so great that it washes fish back downstream or exhausts them to the point of inability to continue their journey upriver. Veghel is a town and a former municipality in the southern Netherlands. On 1 January 2017 Veghel, together with Schijndel and Sint-Oedenrode, merged into a new municipality called Meierijstad creating the largest municipality of the province North-Brabant in terms of land area. 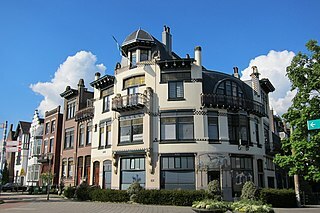 Waalwijk is a municipality and a city in the southern Netherlands. It had a population of 47,551 in 2017 and is located near the motorways A59 and N261. The villages of Capelle, Vrijhoeve-Capelle, Sprang and Waspik together with the city of Waalwijk form the municipality of Waalwijk. The city has an old town center, which has recently been modernized. Stadskanaal is a town and municipality with a population of 32,715 in the province of Groningen in the northeast of the Netherlands. It was named after the canal Stadskanaal. Dronten is a municipality and a town in the central Netherlands, in the province of Flevoland. It had a population of 40,636 in 2017. Dantumadiel is a municipality in the province of Friesland (Fryslân) in the Netherlands. Dantumadiel is a rural municipality characterized by agriculture. Rheden is a municipality and a town in the eastern Netherlands. Rozendaal is a municipality and a town in the eastern Netherlands, in the province of Gelderland. The town, next to Arnhem and Velp, is known for the Rozendaal Castle and its water fountain follies (bedriegertjes). Zaltbommel is a municipality and a city in the Netherlands. Asten is a municipality and a town in the southern Netherlands. Langedijkpronunciation (help·info) is a municipality in the Netherlands, in the province of North Holland and the region of West-Frisia. Langedijk received city rights in 1415. Naarden is a city and former municipality in the Gooi region in the province of North Holland, Netherlands. It has been part of the new municipality of Gooise Meren since 2016. Wijdemeren is a municipality in the Netherlands, in the province of North Holland, on the western border of Het Gooi region. Waddinxveen is a town and municipality along the Gouwe river in the western Netherlands in the province of South Holland near Gouda. The municipality had a population of 27,213 in 2017 and covers an area of 29.40 km2 (11.35 sq mi) of which 1.50 km2 (0.58 sq mi) is water. ↑ "College" [Board] (in Dutch). Gemeente Grave. Archived from the original on 14 July 2014. Retrieved 28 May 2014. ↑ "Postcodetool for 5361CV". Actueel Hoogtebestand Nederland (in Dutch). Het Waterschapshuis. Archived from the original on 21 September 2013. Retrieved 28 May 2014. Wikivoyage has a travel guide for Grave .